It is an ultra compact rapid response vaporizer with amazing full flavored clouds. With a real internal 2000mAh Li-Po battery, the Kroma-A supports 75W max power for the best MTL/ DTL vaping and high performance Temperature Control (SS316, Ni200, Ti) with dry-hit protection. Consisting of a 75W Kroma-A TC MOD and 2ml/ 4ml Zenith MTL atomizer, the Innokin Kroma-A & Zenith TC Kit is an ultra compact rapid response vaporizer with amazing full flavored clouds. With a real internal 2000mAh Li-Po battery, the Kroma-A supports 75W max power for the best MTL/ DTL vaping and high performance Temperature Control (SS316, Ni200, Ti) with dry-hit protection. 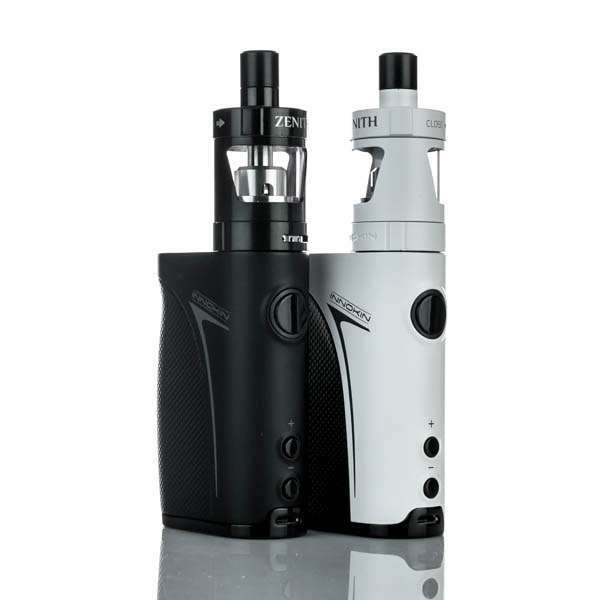 A 2ml/ 4ml Zenith MTL atomizer is a innovative collaboration between Phil Busardo, Dimitris Agrafiotis, and Innokin. It features a unique 0.8ohm/ 1.6ohm Kanthal coil to create an easy and intuitive mouth to lung (MTL) vaping. 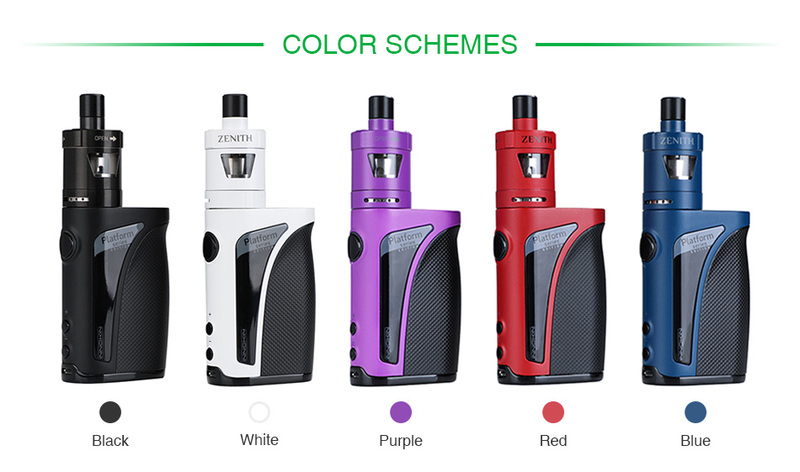 Just get one Kroma-A & Zenith kit to bring your vaping experience to a new level. You can buy the replacement Zenith Atomizer and 0.8ohm/1.6ohm Kanthal coil. 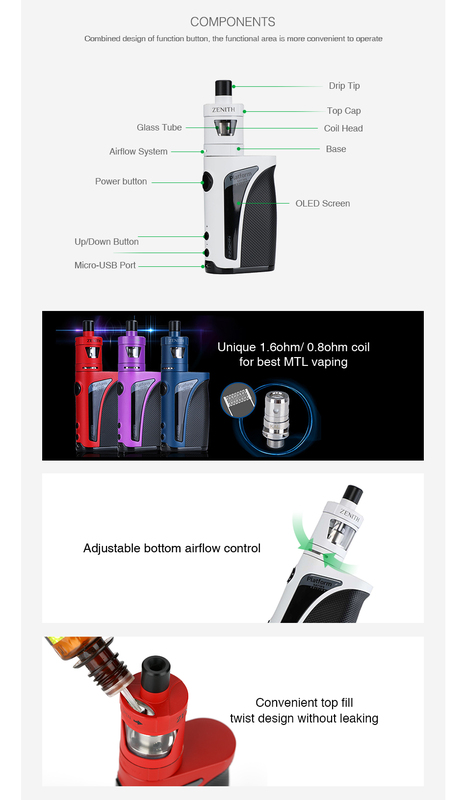 Innokin Prism Replacement Coil is designed for Prism T18 and T22 tanks. 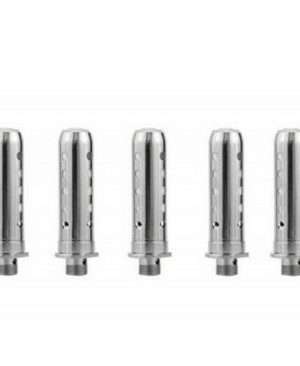 With 24 precision drilled e-juice holes, you will get enough flavor with it. 5pcs in one pack with 1.5ohm resistance.